We went to Hawaii (Oahu) to visit with my Brother in law, his wife and her son. We stayed at their home on Ford island. They are in the navy which means we had to have a military pass to get back on the island when we'd go out to explore. There is too much to talk about and too many photos so I'll try as best as I can to share some of our experiences. They greeted us with Leis! They smell gorgeous! Did I mention how much I love flowers? My SIL has the greeting photos. We also met up with another sister in law that lives in Alaska but was there on a visit. We only got to spend one day with her so she could see the kids. She had extended her stay another day so we could meet. She had already met my son but not my daughter. She and my son hit it off, but darling daughter would only give the queenly peck, but refused to build a relationship! However she did allow aunt C to pick her up every now and then and we finally got a shot on the way down from Diamond head. The adorable nephew. I wish I had more time with him playing and such. It seems it will be a long time before I see him again. I loved their home. It's very cozy and clean and windows everywhere. I love light coming inside a home. The first few days were spent getting settled and planning. We did however go to the beach/pool and had a good time. I wish I could have swam, but alas aunt flo decided she had to pick a bone with me then. Which leads me to the awful story of her entrance. I was on the 6+ hour plane ride from Arizona to Hawaii (Oahu) when about half way there I felt wet....weird...maybe I'm just sweating I think...but it's weird so I go to the plane loo and alas I'm red in my undies. I'm shocked! I want to cry and scream and throw a tantrum. Why would aunt flo do this to me at this time of all times! Sigh. I debated what to do. I had no sanitary napkins in my bag as I had emptied my purse that very morning before we left, thinking I wasn't going to need it for the next 10 days or more. After all it's January 29, AF doesn't show up until about the 10th of each month. Should I call the stewardess? Surely they'd have something. Oh no! I'm too embarrassed. So I was about to apply plastic and tissue when I saw two of my daughter's diapers in my purse. An idea! I thought, it holds dookie in so surely it can hold my stuff in. So for the next few hours of flight. I sat in a baby diaper. I still wanted to cry. The first stop from the airport was k-mart for essentials. I thought she was posing. One of our trips was to Diamond head after the pool/beach and it is amazing at the top, but goodness the climb is something. It can either be invigorating or you might need airlift out. My son climbed it all th way up! I'm so proud of him. The girl had to be carried. Our photos cannot do justice to anywhere in Hawaii. Our trip to Pearl Harbor to see the USS Arizona memorial was too short. There is so much to see and read. We didn't get to go into the submarine - USS Bowfin because children under 6 wasn't allowed inside and I had two and it was also getting late....I did want to go into the sub but I guess I'll settle for History channel. Then we went to one end of the island and beaches...Everywhere is gorgeous. I want to move there! YES I want to relocate! We had to leave our vehicle to take a walk. It was just amazing! The ocean swept D off his feet so we had to change him into one of daddy's t-shirt. We came all the way from down there to see the lighthouse up here. First 50 dates anyone? I guess I'll have to go watch that movie now. The walk up was fun...then ?, then forging ahead because it's worth it at the top and then glorious! I had a baby on my hip the whole way up and then going down I showed her how fun it is to do a piggy back. That took some convincing. It is really hard doing stuff with children sometimes but worth it. We tried scouting for whales but I didn't see any. The husband said he did and tried to get me to see but I didn't. I met up with one of my mommy friends for lunch. When we first got to Hawaii and I called her up to meet, there was nothing planned for that day but as time went on the husband packed stuff around our meeting hence why our meeting was short. I wanted us to go to the park or something afterwards. I hated that our visit was so short. Sharon is a wonderful gal and her kids are just darling. They made us feel so welcome. The husband thinks it was a good meeting. He was at first worried that it might not work out. I kept assuring him that I've known Sharon forever :) I guess now he really understand the relationship with my online gals. Immediately Charlotte and David hit it off. It was the sweetest thing. Then we went from Oahu to Kauai for a helitour in Lihue. Another gorgeous island. I've never being in a helicopter so that was quite interesting....fun. The kids were excited and then fell asleep five minutes into the tour! We rented a car and went around Kauai before and after our tour. This island is amazing. I..words can't describe it's beauty. We did a plantation tour.. There coffee samples are so good. I wanted to get some but then didn't...it was late and they were closing up so we just went on our way. A few of the sunsets. This doesn't begin to capture this magnificent happening. On kauai we ran out of memory space on our camera! We had over 1500 photos! We hit up k-mart and got another memory stick. We also visited the Punchbowl, National Memorial Cemetary (Oahu). It's beautiful there and so many memories....so much to read and remember of all these heroes who sacrificed for our country. We flew to the big island and did a volcano tour in Hilo. That too was amazing. Our tour guide was the best ever. He is hilarious! Going to the Kilauea volcano...this one spits/spews lava. HOT! Can you tell I'm tired? But it 's still fun. Remember that Volcano that took everything?...now people are starting to rebuild....on the lava? We had to walk on that to get over to where we could view the spewing lava. The whole bunch then went to a Luau. I would have loved to get involved more because I love dancing and this sort of thing. It was fun,the food was good and the setting gorgeous! The women doing a hula dance for us. loved it! It's hard to write about it all here and to share the thousands of photos we took. These pictures are beautiful! That was a great idea for the diaper... oh no!!! It looks like you all had a blast and made some memories that will last forever! How awesome that you were able to spend so much time with family! So.. how are you going to top this trip??!!! Oh my goodness! Africa would be SO much fun! Yes, take me with you! You look like you had so much fun, C! You deserve it too. Love the pictures! Yes, definitely come back and listen to the song!!! It is SO worth it! It is one of my favorites at the moment! Have a great day! Now, I want to relocate too! That was really an amazing post...really. I loved it! Thanks for sharingthe pictures of your vacation. Looks like a glorious time. You really captured the island. I love Hawaii, it reminds me of Jamaica. Just simply wonderful. Glad you and hubby and kids had such a wondefrul time, thank you for sharing your photos. kay, the diaper thing? Hilarious! Not for you at the tim, I'm sure. But the pictures of the waterfalls from the helicopter are WONDERFUL! something I just noticed that I love is the fact that you change your tag line! I am so jealous! What a great time you had! You have a gorgeous family! And I am so jealous you went to Hawaii! We went there on our honeymoon (Maui) and want to go back soooo bad! Pearl Harbor was an amazing experience that everyone should see. So humbling. What an awesome trip! I would love to make it there someday. Wow those are amazing pictures. I'm so jealous. Its snowing right now, I could use a trip to Hawaii. Awesome pics. Looks like you had a great time! I would be so in for that all girl trip to the islands!!! Thanks for stopping by my blog. I am very touched by your intro post and now I think I'm going to have to add you to my follow list :) You have a beautiful family! BTW, sorry to hear of AF dropping in at an unwanted time...but I got a little giggle out of your mommy resourcefulness. Woo-hoo! Moms rock! OK, you, my friend, are gorgeous and I'm completely green with envy over your fabulous trip!!! I have really enjoyed looking through your photos. You are very pretty and your children are beautiful as well! What a beautiful family and an incredible trip you enjoyed together. What a wonderful getaway. You've got a beautiful family and it was a joy to see so many pictures of all of you! I don't think I've commented on this post, but your family is so beautiful! Those children, just precious! I'm so jealous that you've been to Hawaii. It looks amazing. It must have taken you forever to upload all of those photos! Awesome!! I loved reading this post and looking at the pics. I am so glad that your sis-in-law from Alaska was able to stay over a day and see your family. The kids are so sweet. WOW!! I never knew submarines were sooo huge. You took really good pics. So glad you were able to make a stop at K-Mart. 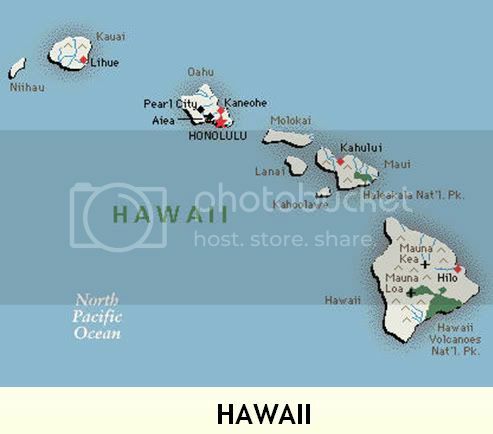 They even have K-Mart in Hawaii..LOL Do they have Walmart or Target? Thank you for taking so many different pics of Hawaii. I have always dreamed of going there. I stayed away tho, after my mom told me about the other side. However, you know, darkness is everywhere now. BUT, God Always Prevails!! I have never seen this post, and it's so late to post on it, but I just loved it. Hawaii has always been on our 'maybe' list, because it's so popular I have to wonder if it's over-hyped? And it's so expensive... but it is still something we want to possibly do, and something my daughter really, really wants to do. Your post and pictures have amped it up for me tenfold, and made me excited about the possibility of someday visiting Hawaii. It just sounds and looks gorgeous/fun/interesting! of your website iѕ fantaѕtic, let alone the cοntent!